Johns Hopkins University Press, 9781421424774, 216pp. Residential colleges are the foundation on which US higher education is based. These institutions possess storied traditions fondly cherished by students, alumni, and faculty. There is no denying, however, that all colleges today struggle with changing consumer preferences, high sticker prices, and aging infrastructure. Technological and pedagogical alternatives--not to mention growing political pressure--present complex challenges. What can colleges and smaller universities do to stay relevant in today's educational and economic climate? 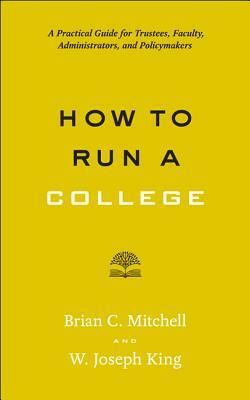 Brian C. Mitchell is a principal in Academic Innovators. He is the past president of Bucknell University and Washington & Jefferson College. W. Joseph King is the president of Lyon College. He is the former executive director of the National Institute for Technology in Liberal Education and Rice University's Connexions.